Pure adrenaline... I am #paintballer! Prove your aim, get your target and go to battle! 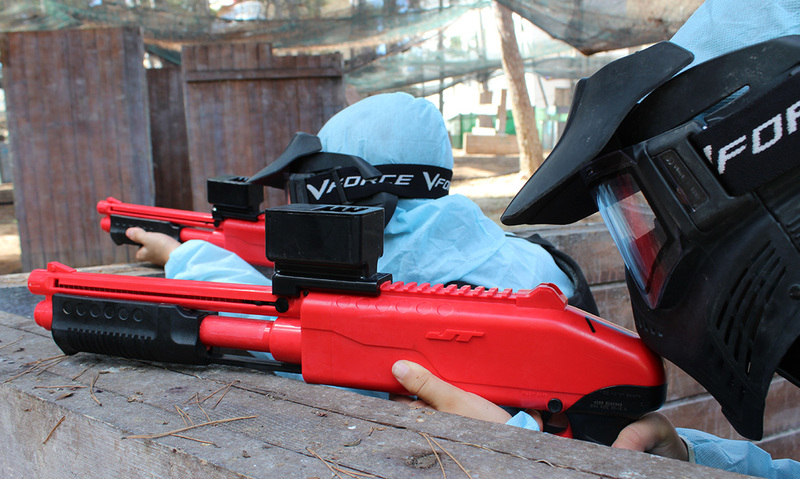 In BOSC AVENTURA, kids will find the perfect place to practise paintball for children in Salou. A strategy game that claims for the force of the equipment, the skill and the aim to eliminate your adversaries shooting balls filled with paint. Fun and security, making this game an amazing and safe adventure. And for adults, we have another paintball area as well. Free your adrenaline, release all your energy and join a game where the fun is sure. ¡Book now and we’ll make you a group! Now you have the chance to join a group with other people who haven’t anyone to play. 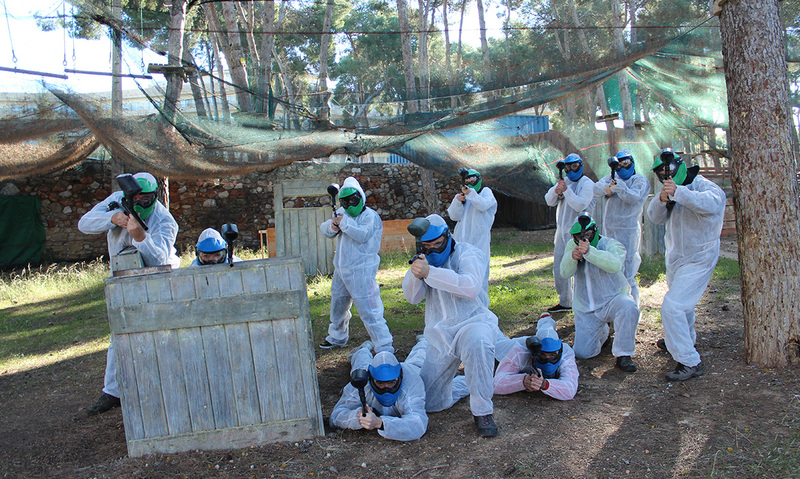 We manage groups to play Paintball and Paintball Soft every TUESDAY and THURSDAY at 11h AM. Join us calling 877 050 444, via email info@boscaventurasalou.com or booking in the park. As much people you will enjoy more, more laughs, more action, more adrenalin and new friends! Paintball is a sport that was realized in USA during the 70’s and 80’s. The idea of this sport came up when someone was shooting balls of paint to mark cattle and trees. It was when was created the very first outdoor paintball game field. Later on, the first indoor game field was in Australia. In Spain the first Paintball game field was born in 1992. 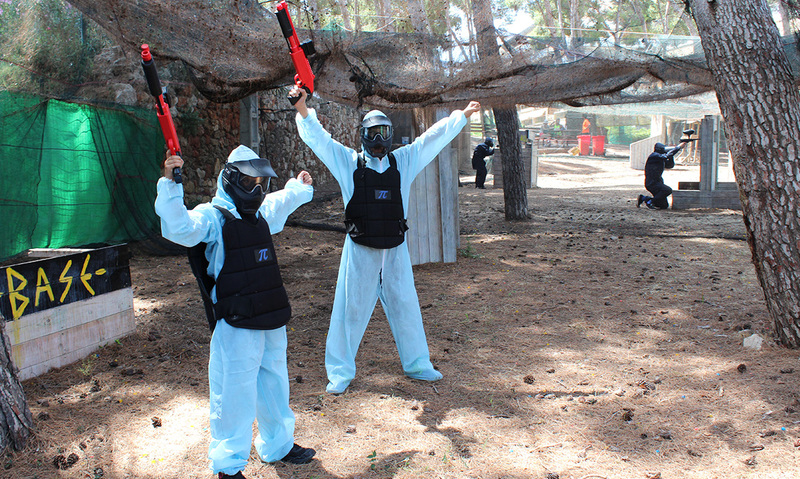 Since then, Paintball was expanded quickly in Cataluña from 1995. It is an activity where the participants use air guns or CO2 named markers, firing little paint balls against other players. Se trata de It is a question of a complex game of pursuit, where the players marked with painting during the game are eliminated. At all time, in the children’s game fields and adults’, the participants are protected by a mask, a neck guard, a bib and coveralls. Two teams and a single target. are you ready to get it? 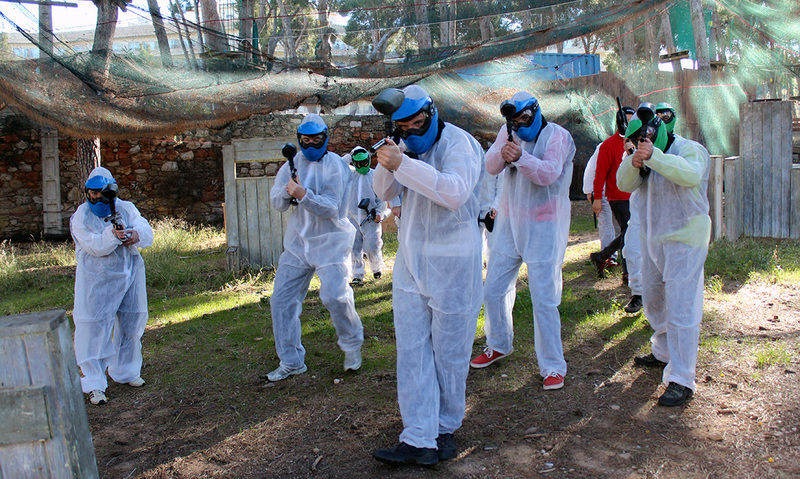 In Paintball game they put on face-to-face two teams in order to eliminate all the players of the opposite team or to get the final aim, for example, to capture the flag or to eliminate a certain player. When is the game over? It will finish when the players remain without munition. The period of a game changes depending on the balls that are bought, on the participants who compose the group and on the dynamics of the game/group. Come and play Paintball thanks to the new less weight powerfull Splatmaster guns. This kind of pistols, absolutely adapted and safe, works thanks to a spring and it is needed that a child loads them in every shot. The most extreme amusement has come! Would you like to make the most in the paintball game field? Are you ready to start the game? Come with your friends and enjoy!